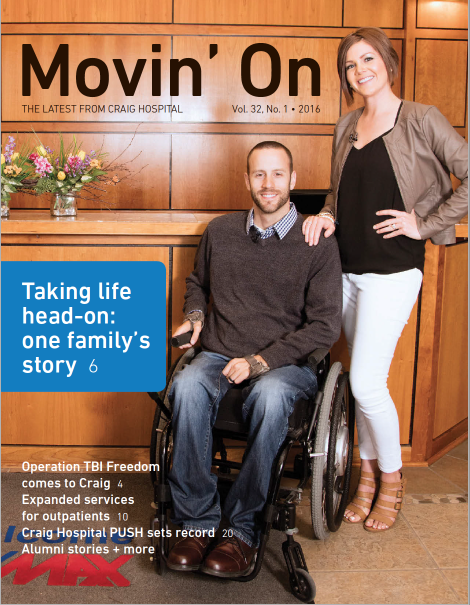 Over the past few years, Craig has seen a 40% growth in outpatient services. 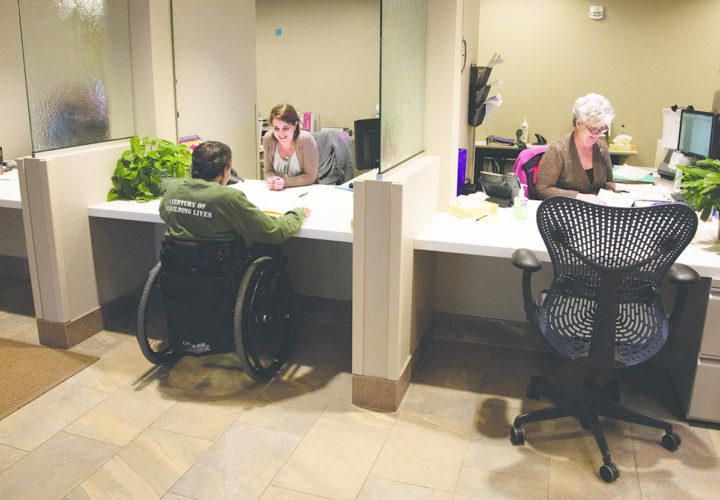 Each day an average of 75 new and former patients with spinal cord or brain injury come to Craig for outpatient services including outpatient therapy, interdisciplinary outpatient evaluations (IOE), and clinic visits. 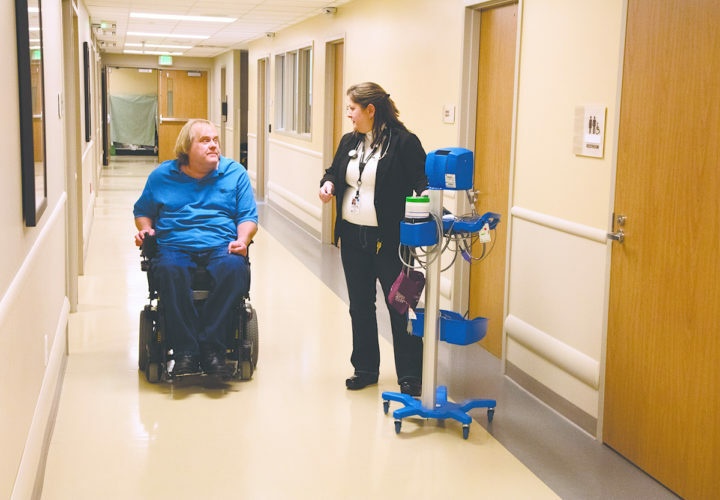 The increasing need for specialized care and follow-up services for people with spinal cord and brain injury spurred the renovation and expansion of Craig’s Outpatient Clinic. The new Outpatient Clinic has doubled in size and includes eight exam rooms, three consultation rooms, one conference room, updated equipment, and integrated patient lifts. The Outpatient Therapy Department now has two therapy gyms, a combined outpatient office for all therapists serving both the spinal cord and brain injury programs, and expanded therapy support services, which will enable outpatients to be served more effectively. This spring, Craig began seeing patients in the new space. Hours of direct therapy are provided in the Outpatient Clinic each week. Hours of clinic care are provided in the Outpatient Clinic each week. of patients in our Outpatient Clinic have sustained spinal cord injuries. of patients in our Outpatient Clinic have sustained brain injuries. of patients in our Outpatient Clinic have sustained both spinal cord and brain injuries. In a typical week, Outpatient Services provides 560 hours of direct therapy and 500 hours of Clinic Care per week. About 63% of our patients have sustained a spinal cord injury; 35% have sustained a brain injury; and 3% have both injuries. Our patients come from all over the country, and we have some from other countries as well. New-to-Craig patients or previous Craig patients who have not been here for several years are all vetted through an admissions process to ensure that we are an appropriate option for their care or to direct them to a more appropriate resource as needed. We see 1,400–1,600 different outpatients per year. Patients coming to Craig appreciate a new facility, with new clinic space and therapy gyms. Interdisciplinary Outpatient Evaluation (IOE): The IOEs at Craig are managed by a nurse practitioner or physician with years of experience working with patients with spinal cord and/or brain injury, and the interdisciplinary team includes nurses, therapists, and clinical care managers. The evaluations are generally one week long and are scheduled to meet the individual needs of each patient, whether the patient is someone new to Craig or someone previously seen. These appointment times fill up fast, so make sure to schedule an IOE well in advance. Outpatient Therapy: Craig offers outpatient therapy services, including physical therapy, occupational therapy, speech therapy, psychology, and therapeutic recreation for individuals following traumatic brain injury and spinal cord injury. Additional specialty services may include the ENT Clinic, Neuro-optometry Vision Clinic, Transportation Clinic/Adaptive Driving Program, Adaptive Technology Lab, Wheelchair Seating Clinic, Rehabilitation Engineering, Gait Clinic, Spasticity Clinic, Hand Clinic, and Community Reintegration. 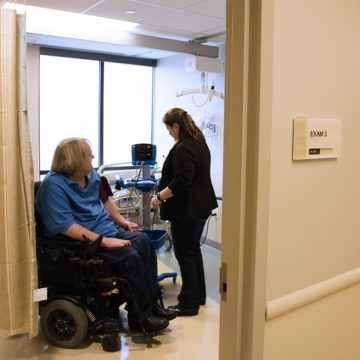 Clinic Visits: If Craig grads have a neuro-rehab medical issue, they can be seen by a nurse practitioner or a Craig (CNS) physician in our clinic. We require that all of our outpatients have a primary care physician in their community. We do not provide primary care services. If you have an appointment, come to Craig’s newly renovated West Building and check in at the Outpatient Admissions desks in the first-floor lobby.